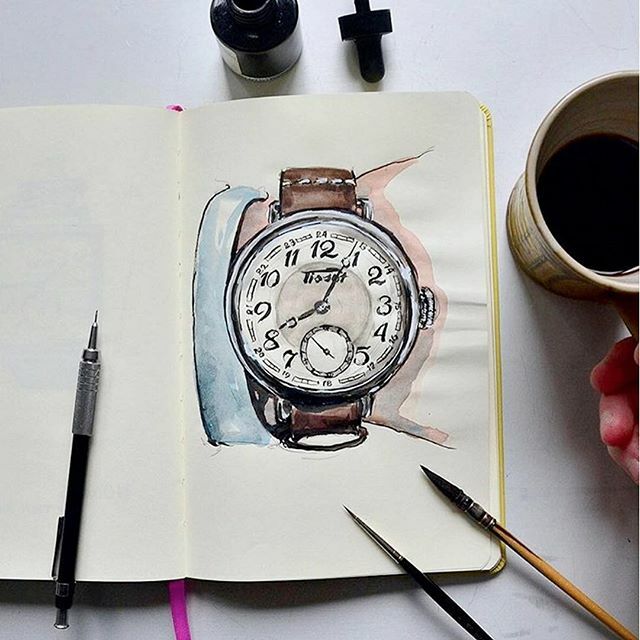 LIVE VIDEO REVIEW UP NOW: Our Instagram shot of the new Tissot Heritage 1936 inspired our master artist friend @Sunflowerman to sketch a watercolour portrait. What a beauty! He writes on his post: Sketching some of my favorites from Baselworld 2016.